It’s funny how a bit of basic information related to a permanent change of station becomes a “PCS Basic” and sticks in your brain for the rest of a military career. A PCS Basic generally sticks there because the failure to follow the rule or suggestion results in an experience that you wouldn’t wish on your worst enemy. The exceptionally amusing part of this scenario is the fact that a PCS Basic that is so crucial to your family is not so much for another. There isn’t a one size fits all solution to protect everyone, so all you can do is tailor preparation to your own needs and hope for the best! For the brand spanking new PCS’ers, MilitaryByOwner has everything you need to know to make the first transition go smoothly! We also have the next level of moving basics to tuck in your back pocket for reference just when you think you’ve gotten the whole system mastered. New movers, mid-career movers, and veteran vagabonds--there’s going to be something here you can use to improve your next PCS. 1) Here’s the best PCS Basic Tip: No PCS is perfect. Accept this truth, but try to cover as much ground as you can, knowing you get to up your game in about two to three years. 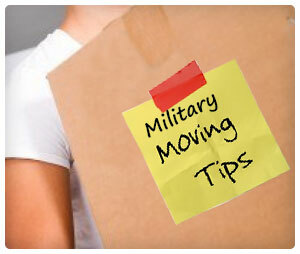 2) First-timers might think a move during the summer months will be easier, because it’s a known fact that the majority of military moves in the heat. From the first look, this seems logical because the government should be preparing masses of moving companies to relocate their forces around the world. Not so much. Available moving companies are at a deficit in the summer and so are the dates for packing and unloading. Don’t wait; scheduling the days as early as possible is the best way to go. The same scarcity factor really holds true for military lodging or just plain old lodging. It becomes difficult in the summer, and the options shrink. If you need a hotel that accepts pets, has a refrigerator, adjoining rooms, and parking for a U-Haul truck, book early. 3) A PCS to-do list is a long and detailed beast of a document, but luckily, momentum is a huge source of motivation. Ticking off the small, more doable items one by one keeps the momentum going in order to face the bigger hurdles. Don’t waste this precious energy; you’ll be tired soon enough! For example, call and place an order for food for the moving crews on the days of pack up and delivery. Or, schedule one last good haircut and color and a final visit to the bakery for the best donut you’ve ever had. 4) Don’t pull the kids out of school too early. If you can take advantage of them being occupied out of the house, do so. It’s shocking to see how much a rock collection from your driveway will disrupt the purging and packing process. 5) DON'T FORGET TO CHANGE YOUR AMAZON PRIME ADDRESS!! ...especially to achieve “inspection clean” or “get your whole deposit back clean.” This is an error not only for PCS newbies, but for veterans, too. Veterans don’t have an excuse, however. We know it takes days, not hours, to clean a whole house, nonetheless, we try and eke it out at the last minute. Avoid this. You’re exhausted at this point in the move. Weeks ahead, go bit by bit, chore by chore to knock it all out. Or better yet, hire a cleaning crew. You’ll be amazed how quickly a team of pros can get it done. 7) Ah, the ankle biter stuff! The nips at your heels seem manageable until they work together to bring you down like King Kong from the Empire State Building. It only takes one PCS move to correct the grave error of misplacing moving company paperwork and waiting past the deadline to file for reimbursement of broken or missing household items. 8) Because we’re all kind, gentle souls, we offer our new residence to family and friends to visit for a vacation, especially if we live in Hawaii, Washington, D.C., and California (feel free to enter any other heavily vacationed locale). Give yourself a few months to get settled before visitors descend. Or make them help deconstruct boxes to earn their keep. 9) MilitaryByOwner has the benefit of firsthand knowledge when it comes to a PCS. The basics are all captured in addition to the nuanced details that you only learn after a couple of moves are under your belt. We have produced resources to cover every aspect of a military move. Blogs, ebooks, to-do lists, charts, and even videos are available to make your life a little less chaotic when it becomes moving time once more.